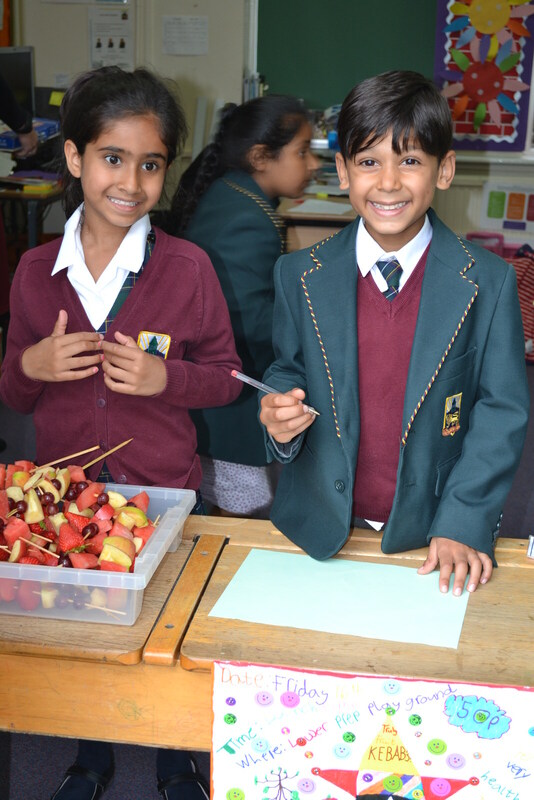 Enterprising Year 1 pupils have been selling fruit kebabs in school today. They were set the challenge to come up with a business idea and busily went about researching some ideas. They decided on selling fruit, wrote a business plan, designed a logo and then made and sold the fruit during lunchtime. What an enterprising bunch they are!